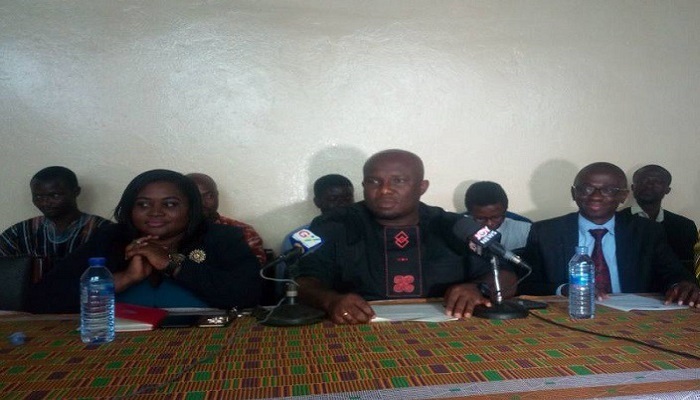 The University Teachers Association of Ghana (UTAG) says its members will embark on a nationwide strike if government fails to pay their 2017/2018 book and research allowance by next week. According them, several pleas to government to settle the allowance by July 16 have not been met and the Ministry of Finance has also failed to formally respond to their letter. The Ministry of Finance’ refusal to respond to their letter is indicative of the condescending treatment UTAG receives from government over the years with respect to the payment of the book and research allowances, they stated. “Following the lackadaisical attitude of government, UTAG wrote to the ministry of finance on the 7th of July 2018 about the need to make payment by 16th July 2018 to forestall agitations,” National President of UTAG Dr. Eric Opoku Mensah he stated. At a news conference to express their concerns, he explained their decision to strike is to draw government’s attention to the uneasiness on the various campuses as a result of its failure to pay the book and research allowance timely. He noted that the leaders of their association could no longer control the situation and may be forced to take a decision if government fails to pay the book and research allowances by 31st July, 2018. “UTAG wishes to inform and plead with the public and students that should the next academic year’s academic be disrupted, it is not to blame,” he added. Dr. Opoku Mensah was worried that in spite of the fact that all the necessary documents to facilitate payment were presented to the appropriate government institutions several months ago, government has not been able to pay. He reiterated the fact that UTAG is committed to delivering quality education in Ghanaian public universities but would not countenance the insensitivity and unnecessary delay with respect to addressing its concerns.